Like a well-tailored outfit, a customized hair color just fits. 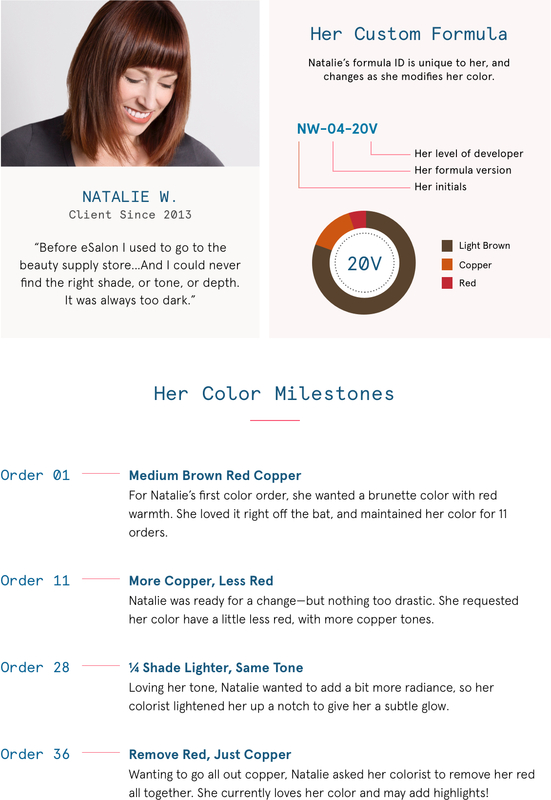 Learn about what goes into the first and only one on the home hair color market. Everything you wear—shoes, clothing, jewelry—it fits you. So why should it be any different for your hair color, the one thing you wear every single day? In sharp contrast to the limited selection on the premixed market, customized hair color is made to order to fit you. 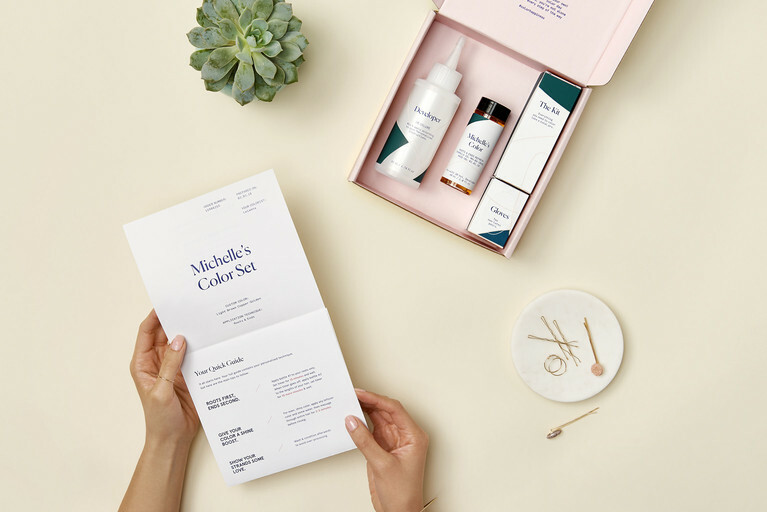 Read on to learn about what goes into our customized color, the first and only home hair color to be designed with you (yes, you!) in mind. You deserve the perfect hair color, and we’re committed to creating it for you—literally! Your personal colorist will factor in your color goals, photos, profile, and hair history to formulate a color specifically for you. To date, we’ve designed more than 165,000 shades, each with its own unique combination of pigments. Dialing into your ideal color is just the first step! Every facet of your experience is designed with you in mind. We’ll use your amount of gray and color resistance to assign your developer level, while the bottle itself will list your name, your formula’s ID, and the date we made it. Factors like hair length and color history play into which instructions you receive—there are over 150 possibilities!—and they may change depending on whether you’re touching up your roots or going for a whole new look. Your personal colorist can formulate a shade down to the exact combination of depth and tone that lets you be you. No premixed stuff here! And we’re right here with you as your style evolves—whether you’re going for a complete color change, or a shift from slight copper to a dash mahogany. Yep, we can alter your formula by 1/4 of a shade for any given order, just say the word. We know that each client is different, and so are their needs. That’s why, once you’ve completed your profile, we pair you with a personal colorist. From there, you’ll work together 1:1 on your formula, changing it up as you see fit. Meet Natalie, a long-term client who’s been with us for more than 35 orders. She went from box to salon and back, and was never able to nail down quite the right tone. When Natalie joined eSalon, we worked closely with her to achieve her perfect tone, maintaining it for her until it was time for a change. So far, we’ve been through four shade adjustments together, and while each tweak was minor, it supported her evolving personal style. 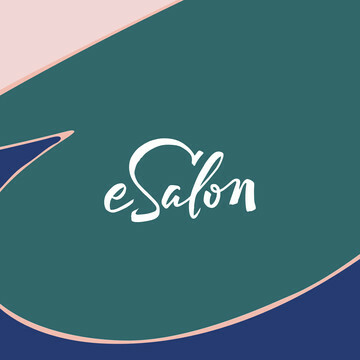 At eSalon, technology and human expertise go hand in hand. Our engineers developed a language that allows your colorist to formulate your color virtually. From there, your formula gets sent to our mixing machine, which works like a color printer. It uses the pigment “recipe” to mix the correct amount of each pigment right in the bottle, allowing us to blend your unique color with complete precision. And any time you have feedback? Your colorist will use that to make adjustments both big and small as you go. Small-batch, made to order, and unique to you, custom hair color just fits. Want in?